I have a Loose Wire on my Braces! What Should I Do? Sometimes the wires on braces become loose. If this happens, make an appointment with your orthodontist. Meanwhile, here’s what to do. If the wire simply gets bent out of its proper position, you can just use your finger to push it back into place. If you can’t get it back into position with your finger, a small instrument like a toothpick or tweezers may help. Just be careful not to jab your gums! If the wire is jutting out in such a way that it pokes the inside of your cheek, you'll just want to get it out of the way until you can see your orthodontist. Try bending it into a more comfortable position with a blunted toothpick to the eraser end of a pencil; anything that's not sharp or pointy will do the trick. If the wire just refuses to cooperate, then the goal is just to make yourself comfortable until your appointment. Apply some gauze, a cotton ball or some dental wax over the errant wire to create a barrier between it and the inside of your cheek. If the wire isn’t poking the inside of your cheek or bothering you you in any way, just make an appointment to get it fixed, but otherwise leave it alone. Just be careful when you chew. 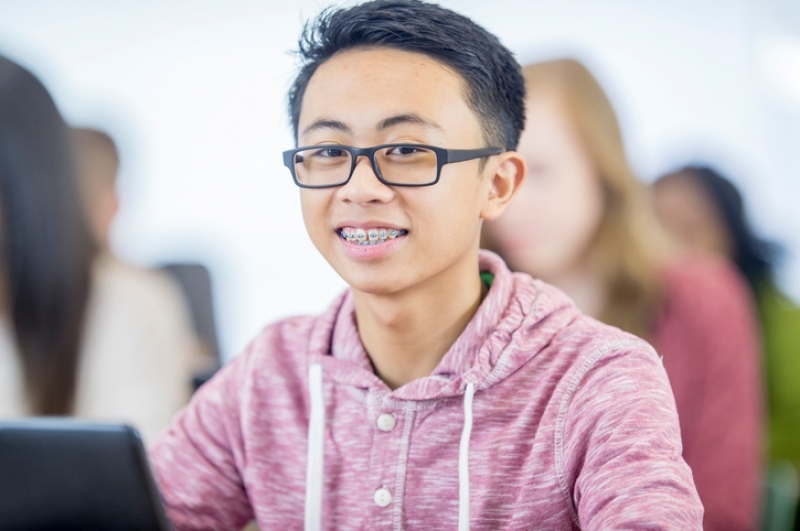 For more information about orthodontic emergencies, read on here, or get in touch with Vancouver Orthodontics today!